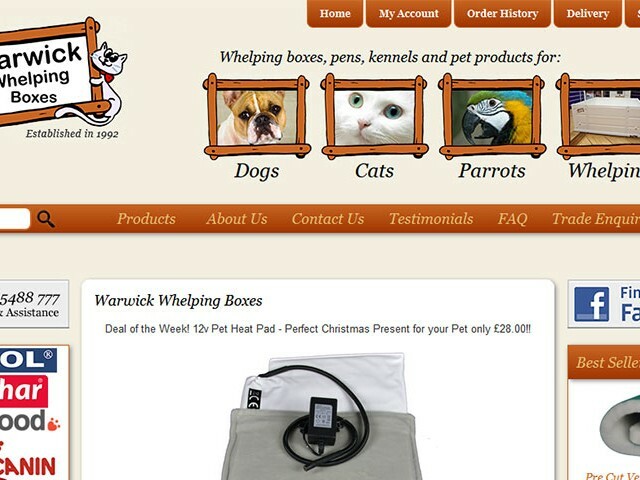 Warwick Whelping Boxes are a family run business established since 1992 in Sunderland, manufacturing products to the highest standards using only the best materials available, including the largest range of Whelping Boxes in the United Kingdom and custom made pet heat pads. Clocked Web Development designed and developed the Warwick Whelping Boxes eCommerce website in 2011 on the latest cutting-edge VirtueMart 2.0 platform with a Joomla CMS backend. With bespoke functionality including CardSave payment gateway integration, ‘One Page’ checkout system and bespoke design throughout, Warwick Whelping Boxes website has been an extensive and ongoing project showcasing modern website design and powerful eCommerce functionality.